There is an entire branch of the supplement industry dedicated to helping you lose weight. And really, why shouldn’t there be? Losing weight has been shown to have a myriad of health benefits, including a reduced risk of metabolic disease and diabetes, a reduced risk of cardiovascular disease, improved joint health, and even a reduced risk of dementia. Not to mention the fact that losing weight can do wonders for both your self-esteem and confidence. Unfortunately, some companies are aware of this fact, and as a result, produce sub-par products that are advertised to help you lose weight and improve health quickly and effectively – but don’t actually do anything at all. Which is why finding high quality supplements that actually work (and work well, at that) is somewhat of a mission for us – which also brings us onto the topic of fat burning enzymes. What are Fat Burning Enzymes? Fat burning enzymes (also known as ‘digestive enzymes’ in some circles) are a unique type of supplement that contain key enzymes that our body actually produces daily. You see, these enzymes are a type of protein made within your body. They are designed to help breakdown the large pieces of food you eat into smaller molecules, so that they can then be easily absorbed into your body. Pectinase: breaks down complex plant-based carbohydrates. Lipase: breaks down fats into smaller fatty acid molecules. Amylase: breaks apart complex sugars. Trypsin: breaks down protein into small amino acids. By providing the body with these key proteins, fat burning enzyme supplements have been suggested to enhance digestive health, promote weight loss, and stave off disease and illness. What are the Benefits of Fat Burning Enzymes? Considering that these enzymes are incredibly important, it stands to reason that their supplementation can have an extremely positive impact on health. With this in mind, we have taken an objective look at the research to determine where their best use lies. Do Fat Burning Enzymes Help with Weight Loss? As their name suggests, there is actually a reasonable body of evidence demonstrating that these products can indeed impact weight loss in a positive manner. You see, the supplementation of these key enzymes improves the body’s ability to breakdown and absorb food – thus reducing the amount of load placed on the gut in its entirety. In doing so, they can reduce inflammation, improve the state of the gut microbiota, and improve the body’s ability to lose weight – although it is also important to note that these supplements are going to be much more effective when combined with an appropriate exercise regime. 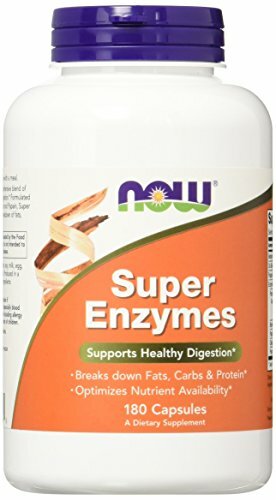 Do Fat Burning Enzymes Help Digestive Issues? There is evidence demonstrating that an inability to breakdown and digest complex food molecules can result in the physical irritation and damage to the walls of the intestine. Over time, this damage can lead to the onset of digestive issues such as irritable bowel syndrome (IBS) and leaky gut, as well as bloating, nausea, abdominal swelling, and abdominal cramping. However, the supplementation of these enzyme supplements has been shown to enhance digestion and reduce digestive discomfort in a big way [2,3]. This suggests that they can enhance digestive health and stave off digestion related disease such as IBS and leaky gut syndrome. Do Fat Burning Enzymes Boost health and Immunity? And finally, as previously mentioned these key enzymes help breakdown food, thus making them much easier to digest. In doing so, they actually make the key nutrients found within food much more easily absorbed – meaning you get more vitamins and minerals from the food that you eat. As a result, these fat burning enzymes enhance global health and improve immune system function by ensuring the body has essential nutrients readily available for use at all times. Considering the huge impact that these fat burning supplements can have on health and weight loss, we wanted to give you some great options that you can implement immediately. This amazing option by Keto Zone is one of the most effective on the market. Using a unique combination of digestive enzymes (built around key enzymes lipase and pectinase), this great product has everything you need to start stripping fat and making some serious health change. You really cannot go wrong here. 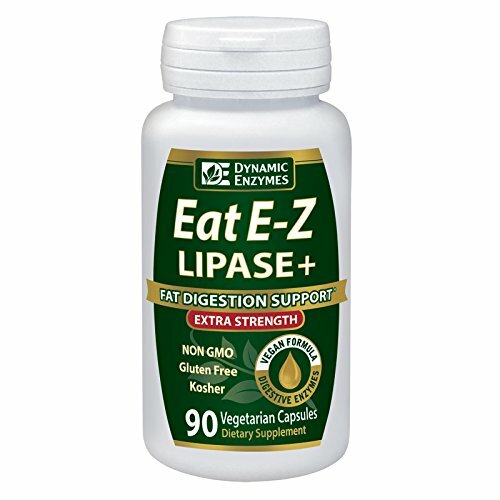 This great options by Dynamic Enzymes offers an excellent means of supplementing with fat burning enzymes and enhancing digestive health. Combining key enzymes Lipase, Amylase, and Protease, this is a great choice. 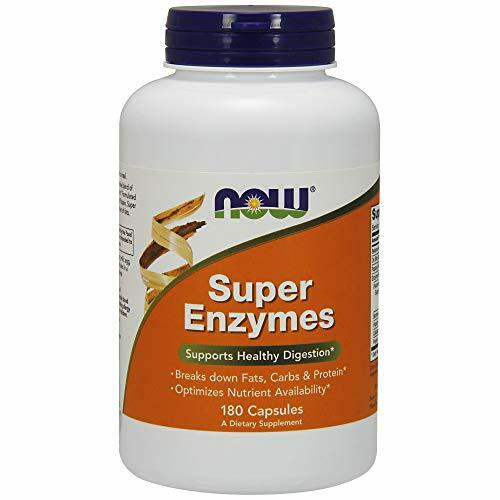 NOW super enzymes is a great fat burning enzyme supplement that provides us with some key enzymes in scientifically supported dosages. Using an array of effective compounds, this is a great option for those looking to enhance digestive health without breaking the bank. If any of these side effects occur after supplementation, we strongly recommend you cease consumption immediately. Like most supplements on this planet, fat burning enzymes don’t actually have a recommended daily intake. However, dosages of anywhere between 2,000 and 10,000 FIP (a measure of enzyme dosages) appears to be effective. As a result, we recommend you start at 2000 FIP for your first couple of weeks and gradually increase to around 8000 FIP per day. Fat burning enzymes provide the body with a potent dosage of enzymes straight into the digestive system. In doing so, they have the ability to help aid digestion and nutrient absorption, boost immune system function and enhance digestive health, and even promote weight loss. They are seriously some of the most effective supplements to hit the market in a very long time! As always, if you have had any experience using these fat burning supplements then we would love to hear about it – so please drop us a comment and we will get back to you ASAP.